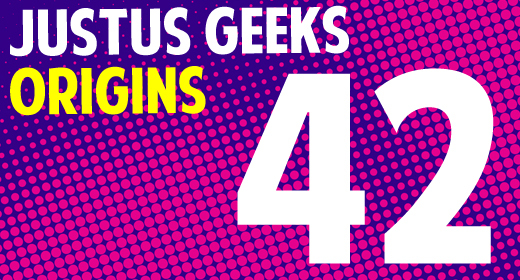 This week it’s the SECRET ORIGIN OF THE JUSTUS GEEKS! That’s right, whether you’ve been with us for 41 episodes or if this is your first, this week Josh, Marty, Brandon and Jared sit down with a new, more conversational format and tell you a little more about themselves and how the JustUs Geeks were formed. Did you know that 3 of the 4 Geeks were once Youth Ministers? That Marty met Josh at Jared’s wedding? That Brandon used to stalk Jared on Xanga, the pre-Facebook, before they ever met? All of these secrets and more are revealed this week, with some good ole laughs and chuckles along the way. Angry Birds Space downloaded how many times already? !